The Italian and French consuls general have visited FAU President Prof. Dr. Joachim Hornegger and signed the University’s Golden Book. The new Italian Consul General to Bavaria, Renato Cianfarani, visited Erlangen and FAU during his first official visit. While he was at the University he signed the Golden Book in the presence of the president. Mr Cianfarani has held the office since September last year and was previously consul general in Rijeka, Croatia. 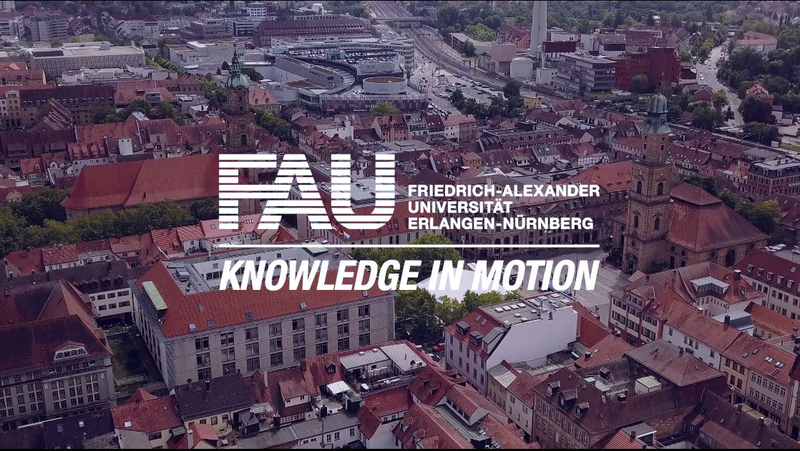 FAU has close academic ties to Italy, with 16 partner universities and a wide range of research collaborations. In addition, there are currently 46 doctoral candidates and 12 guest researchers working at the University. 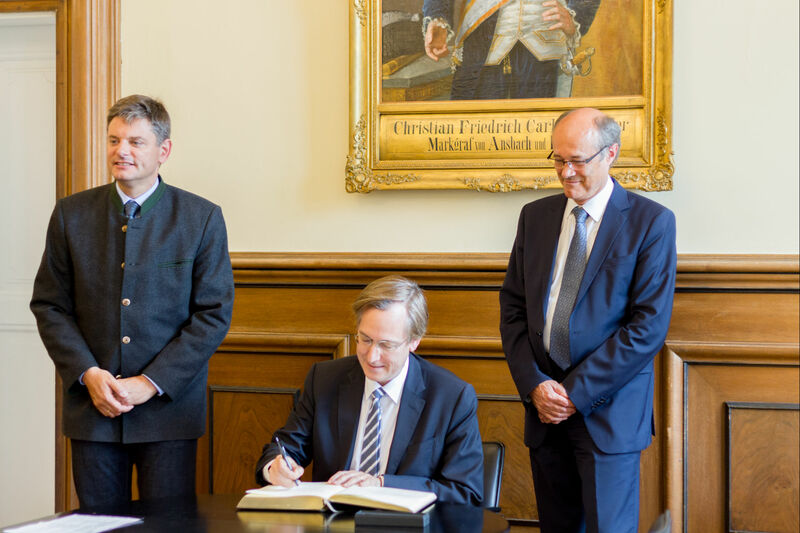 FAU also received a visit from the French Consul General to Bavaria, Jean-Claude Brunet, who also signed the Golden Book and was accompanied by French university attaché Dr. Paul Aibert. Before taking up office in Munich, Mr Brunet was general consul in New Orleans, USA. During his trip to Erlangen he visited the Cluster of Excellence ‘Engineering of Advanced Materials’ (EAM) and found out about current projects that the Institute of Romance Studies is involved in with partners in France. FAU also has close ties to France, with a total of 20 partner institutions. There are also currently 5 professors, 19 research staff, 10 doctoral candidates and 6 guest researchers from France at the University.